YouTube has launched a new tool for news organizations to directly connect with the YouTube community and billions of viewers. The potential for this is clearly pretty massive, as it allows news organizations to expand their coverage (on YouTube’s dime), citizen journalists to get exposure, and YouTube to even further strengthen its lead in online video. The company notes that ABC News, The Washington Post, and San Francisco Chronicle are among the organizations already using the platform. You can bet a lot more outfits – online and traditional – will be looking into ways to use it now that it’s live. With many systems for creating user-submitted video available to news organizations we will see if YouTube can create a niche for its new product. 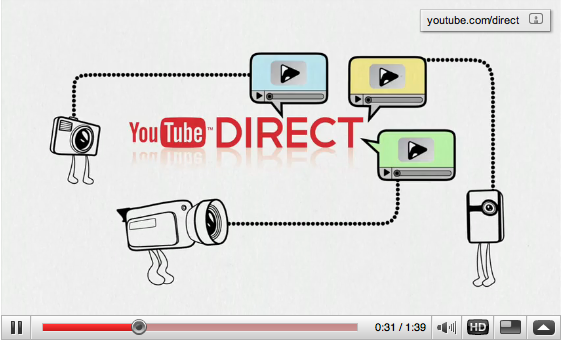 Visit the YouTube Direct website for more details.